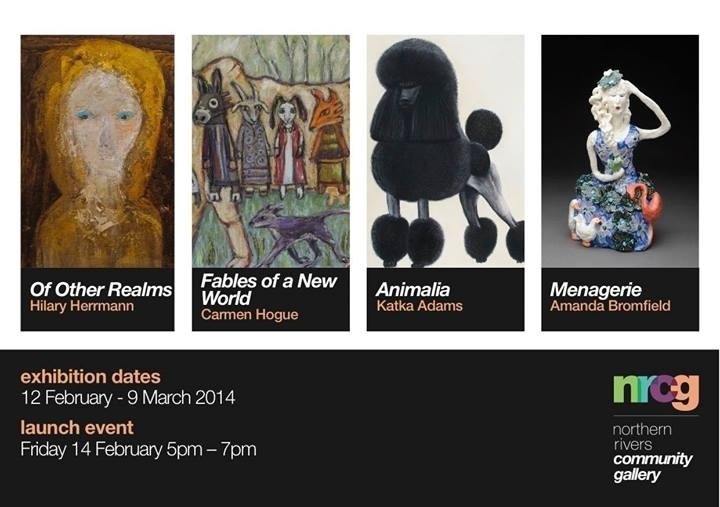 I have an exhibition opening in Gallery 1 of the Northern Rivers Community Gallery on 12th Feb until 9th March. 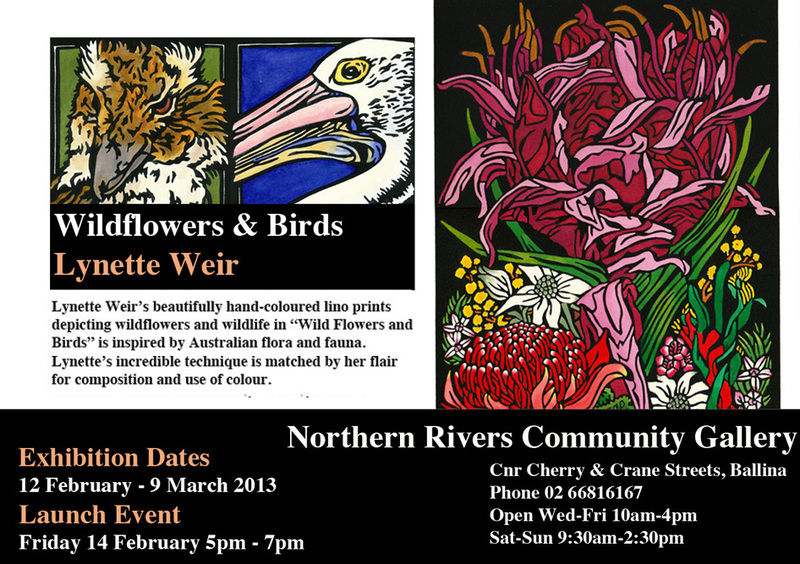 It includes some returning Lino-prints from my December exhibition alongside some new works of birds & Gymea Lily Wildflowers. The Launch Event is from 5pm to 7pm on Friday 14 February 2014. Valentine’s Day. Bookings are from 6.30pm.